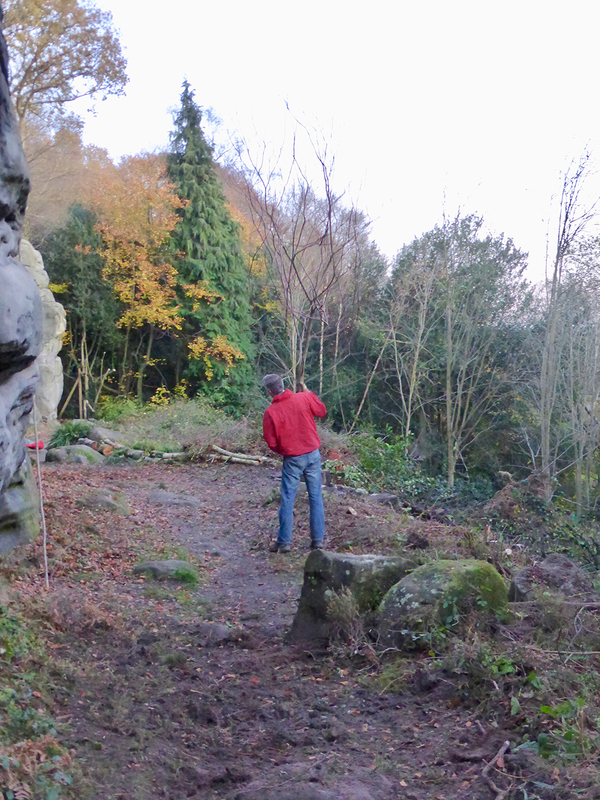 The trees designated as section F of the woodland management plan were cut, opening up the area so more natural light and air can reach the crag. 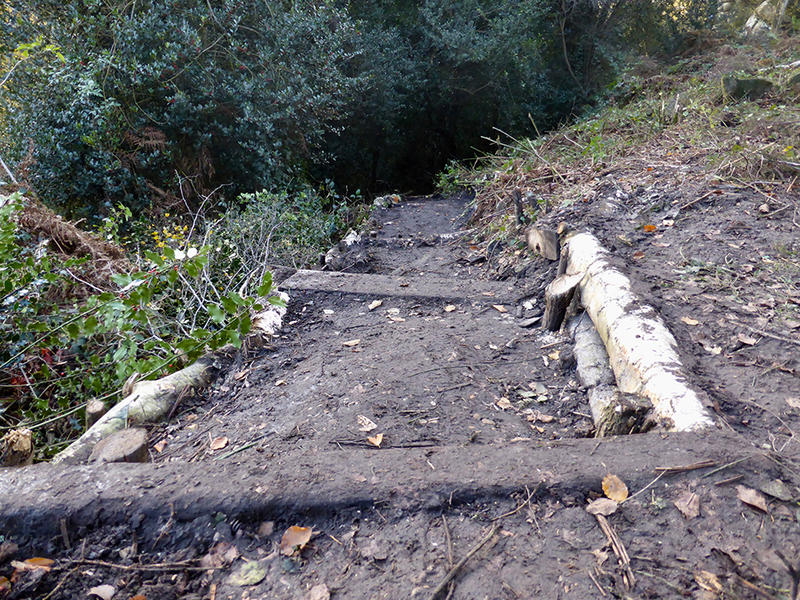 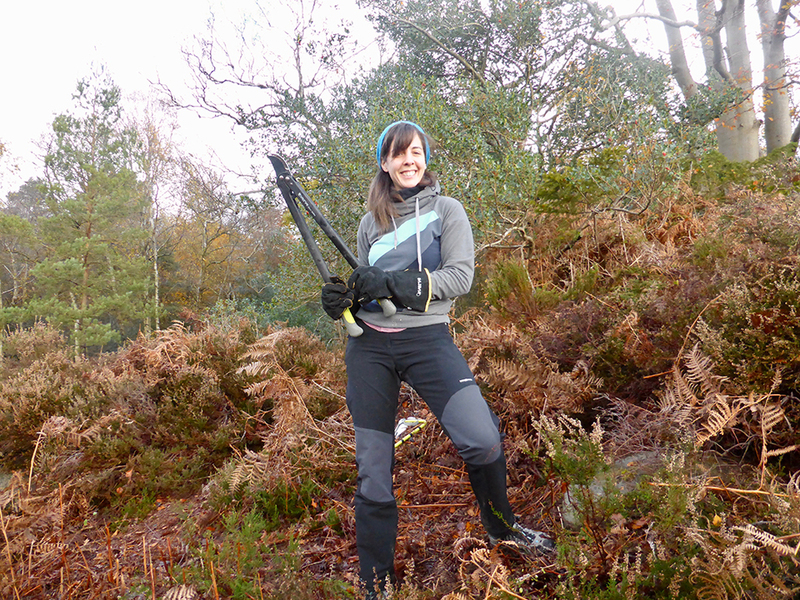 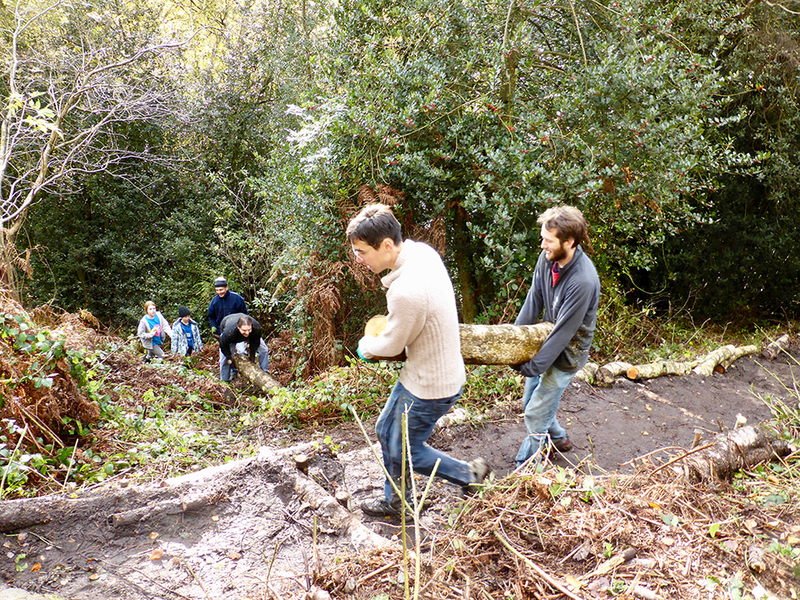 New paths were built, wildlife habits were created, and crags were cleared. 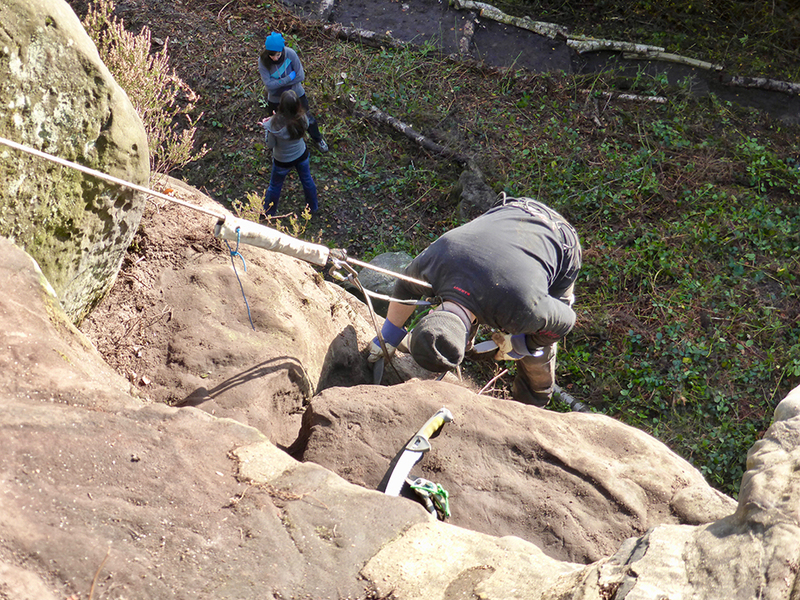 Unclimbed Wall area was strimmed and the Wanderfall section had the overgrown top-outs dealt with, paving way for better and drier conditions in that area. 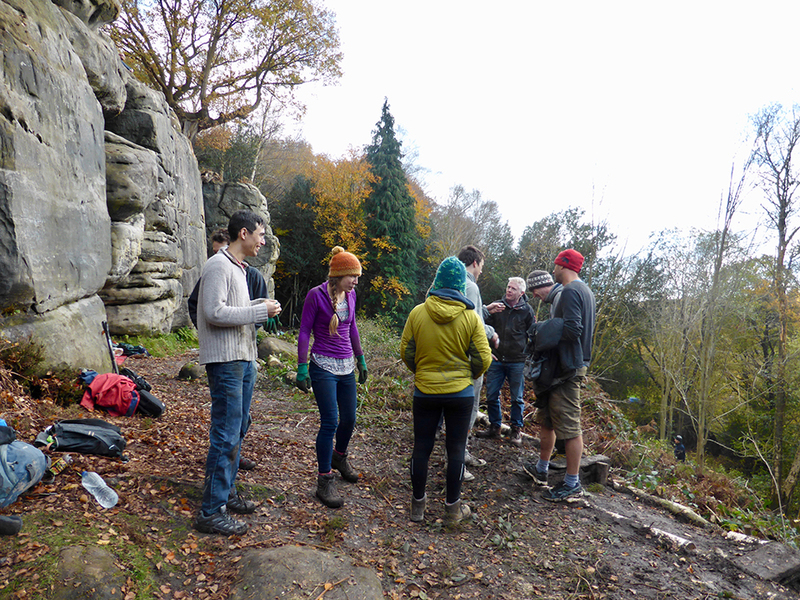 If you are interested in future volunteering, contact the Sandstone Volunteering Group.